Changes uses a clinically proven medical grade hair removal equipment with Intense Pulsed Light (IPL) and Laser. Changes Laser Hair Removal Portsmouth system has the integrity to give you success. The number of sessions you require to achieve a permanent result is individual to you and will be determined during your assessment as each person has unique skin & hair pigment. Our practitioners are trained, qualified and experienced to deliver results. I tried shaving, waxing and epilating my bikini line but it didn’t affect the number of ingrown hairs I got. Since I’ve had treatment at Changes, I haven’t had to worry – no hairs so no problem! Wish I’d known about this before.” Kay, Ports. We have a payment scheme that allows you to budget for the procedure that you want and to spread payment over a number of months. In this way, you enjoy the enhancement that you desire sooner and benefit from it for longer. For questions & pricing by return, email info@changesclinic.co.uk or call 02392382000. Why is laser hair removal different? Laser hair removal is one of the only hair removal methods to guarantee permanent hair reduction. Treatments are quick and easy and there is no downtime following treatment. Both men and women can get laser hair removal. The only exception to the rule is when skin pigmentation is too great. Fake tan and a real sun tan cannot be present at the time of your treatment. A full consultation & patch test is always carried out prior to any treatment. Everyone is different and therefore an accurate timescale to see results cannot be given with laser hair removal however the majority of clients achieve results after 6-8 treatments. Results last indefinitely but no system can guarantee no hair will every re-grow. Some clients may experience a little regrowth so maintenance treatments are recommended if this is the case.Does laser hair removal hurt? Most clients describe the sensation of laser hair removal as that of an elastic band snapping against the skin. Treatments can be carried out in a very short time, so any pain experienced is very short lived. Why is Lynton Lumina laser hair removal different? There are many types of laser hair removal equipment used in the hair removal market, but our equipment is British manufactured and listed on the NHS supply chain with Lynton having a reputation for providing superior equipment as a major supplier of medical devices. How will I know if this treatment will be successful for me? The Lumina equipment used by us is successful among a list of Lynton products which provide outstanding and consistent clinical results in the medical industry. It is a high grade medical laser which gives results! During your consultation you will be given a cost per treatment for the area you want to be hair-free. Changeplan is a monthly pre-payment plan allowing you to spread the cost of your treatment, enabling you to look and feel great whilst budgeting with plastic surgery on finance! Non-surgical treatments to improve the look and feel of your skin are some of the most popular. You are an individual whose needs will differ from others, meaning the regularity of your visits to us for treatment needs to be assessed by our practitioners.Treatments can be funded through our finance provider and will be assessed for credit on an individual basis. Plastic surgery credit subject to status to UK residents aged 18 years or over. If you would like help with credit or a payment plan call 02392382000 for assistance or for a Changes team member to advise you, or email info@changesclinic.co.uk. 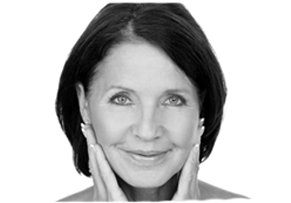 Nicola is a senior aesthetic practitioner having accumulated over 20 years in the industry. Her key strengths include a very keen eye for detail making her well suited to her career choice. She is equally passionate about the patient’s journey and will ensure that even the most sensitive subject matters are dealt with using care and empathy ensuring total patient comfort. Her career began when she took the position of Spa Manager on-board a variety of exclusive ships which enabled her to travel the world. On her return to the UK, Nicola joined Champneys where she helped to launch the brand and managed some 120 therapists. Nicola also treated many A-list celebrities from the field of TV, music and sport. 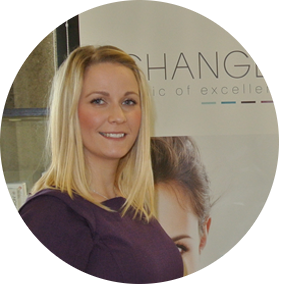 After 10 years with Champneys, Nicola decided to make a turn in her career and explore medical aesthetics for the next 10 years. She spent some 5 years working alongside an aesthetics doctor steadily building a small private medical aesthetics clinic where she specialized in medical skincare, laser treatments, chemical peels and advanced procedures for lesion removal. During this placement, Nicola gained first-hand experience with patient care and the procedures performed by the medical team including minor surgery, Botox, dermal fillers, hormone testing, blepharoplasty and phlebotomy. Nicola was also appointed as the clinical co-ordinator when the clinic took part in a medical clinical trial for Allergan, one of the leading suppliers of dermal filler. 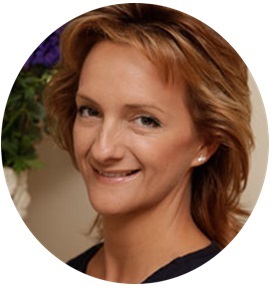 Ever striving to improve her knowledge, Nicola uses her existing skills and experience to provide the best treatment rooted in evidenced based research. Her keen interest in this area and her ambition to be involved in the future of medical aesthetics has led her to become part of the Changes Clinic team. Amy is the senior practitioner at Changes. Amy studied locally and gained her qualifications in 2004. After 2 years in Beauty, Amy joined a national clinic working in clinics in the south coast and London Harley Street and spent 6 years gaining experience in medical advice on skincare products and treatments. She developed her managerial skills in a local spa before joining Changes Clinic in September 2013. She is passionate about her role in the Clinic and can give expert advice in Pigmentation, Hair Removal, Vein Removal, Skin Peels, Fat & Cellulite Reduction, Skin care and Make-Up. “I tried shaving, waxing and epilating my bikini line but it didn’t affect the number of ingrown hairs I got. Since I’ve had treatment at Changes, I haven’t had to worry – no hairs so no problem! Wish I’d known about this before.” Kay, Ports.